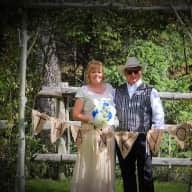 Terry and I live in a beautiful part of Canada and our home is nestled in between the Rocky Mountain and the Purcell Mountain ranges, just north of Radium Hot Springs, British Columbia, Canada. We live in a modest house on 9 acres of land and we do almost all of the work on our property as it pertains to carpentry, maintenance, plumbing and landscaping. For years' we enjoyed our horses and they were part of our family. We sold our horses so we could travel and see new parts of the world, experience different cultures, meet new people and maybe have some exciting adventures. We have travelled to Hawaii, Peru, Ecuador, Galapagoes, Costa Rica, Belize, Cuba, Portugal including the Azores. Terry had a Border Collie, named "Bud" a he was an amazing stock dog and worked with Terry everyday on his horse equestrian center. I had an American Eskimo, named "Max" and he was a character, so much fun and he loved being part of the family. We are semi-retired and enjoy working a few months of the year to keep our minds and bodies active and healthy. We actively hike, camp and work on various projects around our 9 acres and we are always busy. Terry and I have put a great deal of thought into joining Trusted House Sitters and we are excited to get started on a new adventure. This would give us an opportunity to see many parts of the world and experience something new, rather than just being a tourist we would be working in a community. Instead of travelling through and visiting the tourist spots, we would be spending time in a specific part of a country, getting to know the area, the people and the culture, and enjoying the responsibilities and challenges a house sitting opportunity would give us. We understand the commitment needed to be responsible for a house, property and animals. We always have projects on our 9 acres dealing with maintenance and improvements on our house and property. We also have a rental property and we have 2 suites that require continuous and ongoing maintenance and repairs, which we do mostly ourselves. Terry has extensive experience with horses, sheep, cattle and dogs. He is a carpenter by trade and has experience in maintaining and repairing houses. He was a horse guide for a company providing horseback riding vacations in the Rocky Mountains near Banff National Park in Alberta, Canada. He also worked in Arizona as a horse guide for a western guest ranch where people would stay in little cabins and go out in the dessert on trail rides. 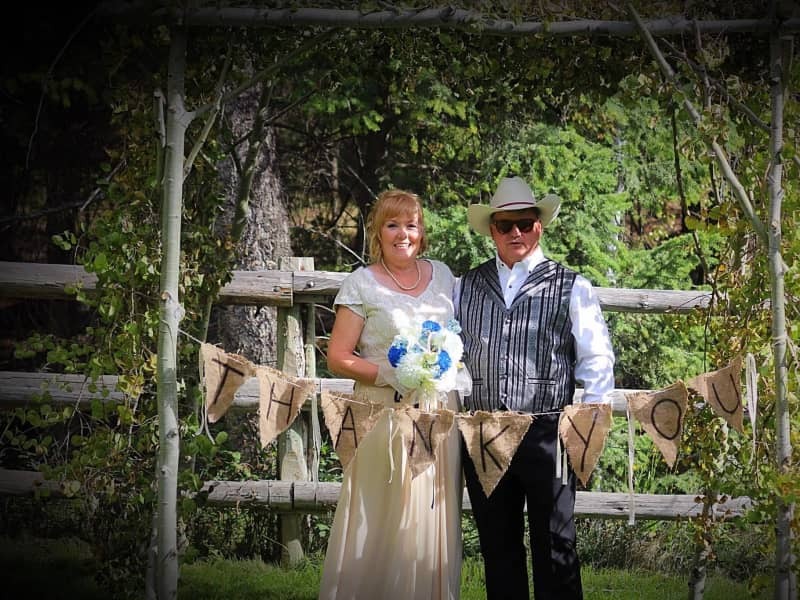 He has worked on a sheep station and cattle ranch in Australia and owned a horse boarding and equestrian center in Cochrane, Alberta, Canada. We are landlords and have two rental suites and do all the repairs and maintenance work ourselves. Throughout our travels we have stayed in VRBO and AirBNB rental accommodations and have excellent reviews with both these vacation rental companies. I have worked on a working ranch in my younger years, where I would clean the stables, feed hay to the horses, exercise the horses and other related duties. My uncle had a dairy farm and I would help him feed the chickens and milk the cows during summer holidays. We both love cats, dogs and horses and miss having them, but it is hard to travel and leave the responsibility of them to other people. I have know Ted and Addie for more than 10 years and they have looked after our vacation property during off seasons. I couldn't be more pleased with the way they conduct themselves, very professional and have the knowledge and skills to provide any necessary services. They are very personable and likeable and are always willing to go the extra mile to ensure everything is in working order. They are pet lovers, have trained dogs in the past, as well as horses, so they know and understand the needs of animals. I would trust them with my pets. I wouldn't hesitate to recommend them to manage my property or my pets. I'm so pleased to be able to recommend Addie and Ted as reliable, diligent and conscientious people to trusted-housesitters.com. We have a vacation property in BC and usually shut it down over the winter months. Addie and Ted come by on a regular basis to check on the house and property to make sure everything is okay. I couldn't be happier to have people who know how things work and should be working. They call and let me know if anything is amiss and they also know how to fix and repair stuff. I am totally at ease giving them the responsibility of looking after the property. I would highly recommend Addie and Ted to look after anything - pets or property. Terry and Addie have watched our 2 dogs (a golden retriever x and a hound x), as well as checking on our house when we've been away. Our dogs absolutely love them and we have never been worried while we're away. They are extremely reliable and trustworthy. I would highly recommend them to anyone who is looking for a house or pet sitter!! In planning a family vacation to Maui for our kids and their spouses for my husbands surprise 60th birthday, one of my biggest concerns was the care of our Cocker Spaniel, Molly!! Addie's love of animals and her attention to Molly made that the least of my concerns!!! To this day if I say "Addie" she gets excited and ready to play!!! She had the best of care!! Thank You Addie!! Terry to be an honest, trustworthy and reliable person.